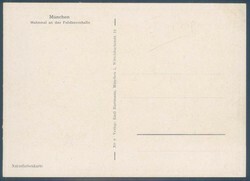 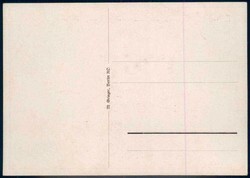 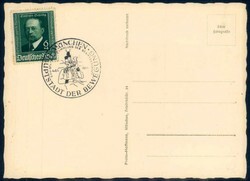 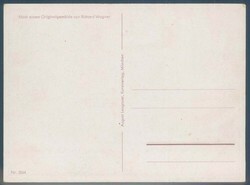 Munich, artist drawn card, signed by: Richard Wagner, issued by: August Lengauer, No. 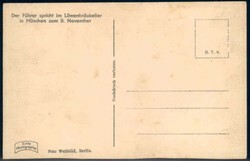 2064, unused. 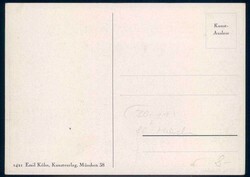 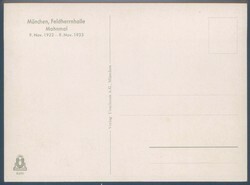 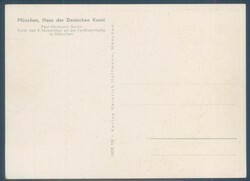 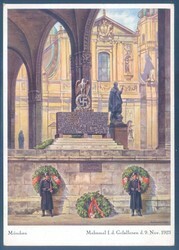 Munich, natural colored card, Feldherrnhalle memorial, issued by: Emil Hartmann, No. 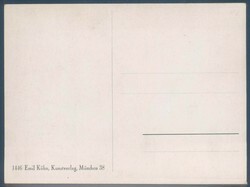 8, unused, light corner crease. 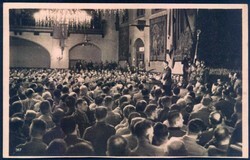 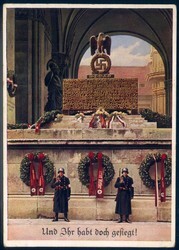 Munich, 9. 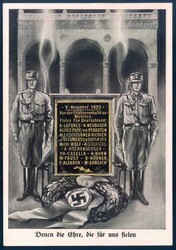 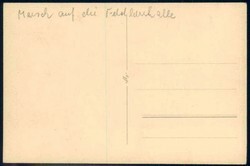 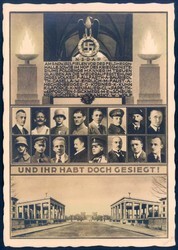 November 1923, celebration at the Feldherrnhalle, artist drawn card, signed by: Paul Hermann, Haus der Deutschen Kunst (house of the German arts), unused. 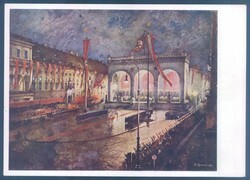 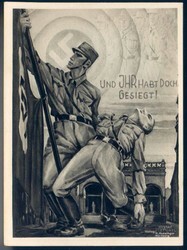 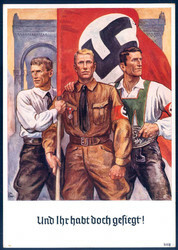 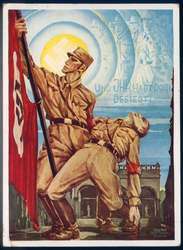 Munich, 9.11.1923, Beer Hall Putsch, artist drawn card, signed by: C.H. 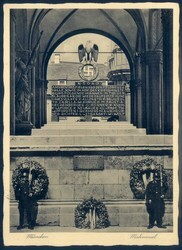 Waechter, Feldherrnhalle memorial, unused. 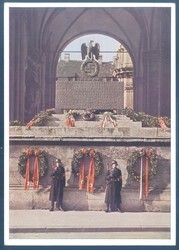 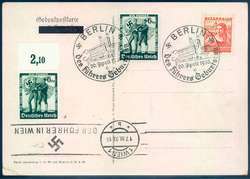 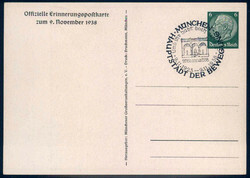 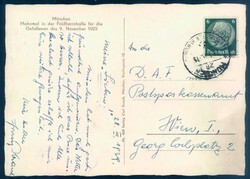 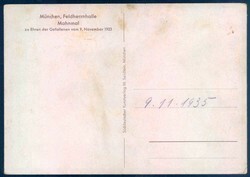 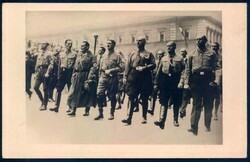 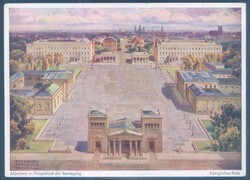 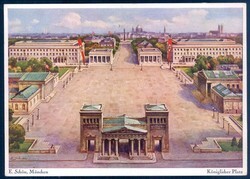 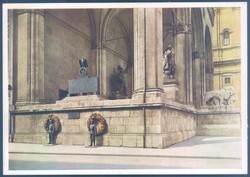 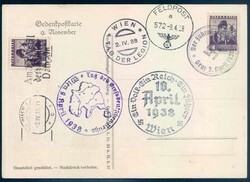 Munich, 9.11.1923 - 9.11.1933, Feldherrnhalle memorial, photo postcard, unused.